Miriam Toews is the author of six previous bestselling novels, All My Puny Sorrows, Summer of My Amazing Luck, A Boy of Good Breeding, A Complicated Kindness, The Flying Troutmans, and Irma Voth, and one work of nonfiction, Swing Low: A Life. She is winner of the Governor General’s Award for Fiction, the Libris Award for Fiction Book of the Year, the Rogers Writers’ Trust Fiction Prize, and the Writers’ Trust Engel/Findley Award. She lives in Toronto. "I would follow the Canadian author anywhere she leads — this time to a remote Mennonite colony in Bolivia where the women have been subjected to brutal attacks in the night first believed to be the work of demons. 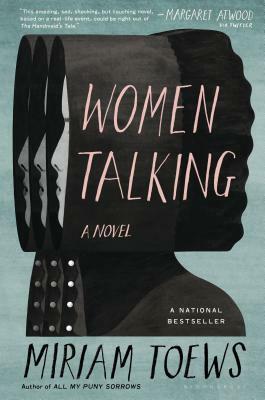 When they discover the atrocities were committed by men in their community, the women — who cannot read or write and require the group’s schoolteacher to write down their conversations — must decide whether they will leave, exiting the only world they’ve known, or remain." - Huffington Post, "61 Books We're Looking Forward to Reading in 2019"
"One of the most exciting novels coming out this year." - LitHub, "Most Anticipated Books of 2019"
"Toews nimbly navigates this complicated story, laden with relevant political overtones, offering a scathing condemnation of the patriarchy, as well as a sense of hope for a future run by those who won’t stay silent about the horrors around them." - Nylon, "50 Books You'll Want to Read in 2019"